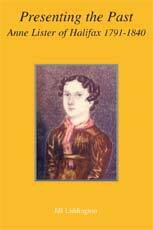 Presenting the Past: Anne Lister of Halifax 1791-1840 (Pennine Pens 1994, 2010) tells the dramatic story of how Anne's diaries survived the years after her death in the remote Caucasus. It records how the secret code in which sections of the diaries were written was originally cracked, and how deciphering the code revealed Anne Lister's lesbian affairs. Presenting the Past also analyzes how successive generations of historians and editors have selected and presented their version of the Anne Lister story. 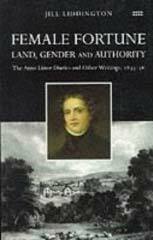 Female Fortune: the Anne Lister diaries, 1833-36 (Rivers Oram, 1998) traces how Anne developed the economic potential of her Shibden estate, mining its coal, and ensuring those of her tenants who had the vote acted in the 'Blue' interest - that is, voted for the Tory candidate. At the same time, Anne Lister formalized her partnership with Ann Walker through personal ceremonies - exchanging rings, taking the Easter sacrament together at chuch in York, and redrafting their wills to benefit each other. 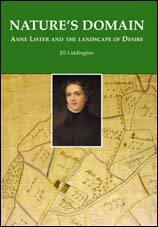 Nature's Domain: Anne Lister and the Landscape of Desire (Pennine Pens, 2003) tracks Anne's story in 1832. That spring, Anne Lister found herself - once again - bitterly betrayed by another woman's marriage plans. Devastated, she fled north, back home to Shibden. Here she occupied her melancholy solitude by planning ambitious improvements to her estate, and to searching for a woman to become her life-partner. When she met neighbouring heiress Ann Walker, what union could be more appropriate? One Hand Tied behind Us: the rise of the women's suffrage movement (with Jill Norris, Virago Press 1878, Rivers Oram 2000) depicts how the radical suffragists of Manchester and the Lancashire cotton towns took their message out to women at the grassroots, to the Co-operative Guilds and trade union branches. One Hand quickly became a suffrage classic - and has been regularly reissued. The Life and Times of a Respectable Rebel: Selina Cooper 1864-1946 (Virago Press, 1984). Selina Cooper of Nelson was one of the forgotten pioneers of the women's movement in Britain. A Lancashire mill girl, she became a radical suffragist, demanding both Votes for Women and decent maternity provision, then later taking part in a delegation to Nazi Germany. The Long Road to Greenham: Feminism and Anti-Militarism in Britain since 1820 (Virago Press, 1989) won the 1990 Fawcett Book Prize, and was republished in American and Japanese editions. It traces the story of the three dozen women who set off from Wales in August 1981 to walk 110 miles to the American airbase at Greenham Common, tracking it back through the interwar years, to the Edwardian suffragists and suffragettes, and back to the Female Auxiliary Peace Societies of the 1820s. 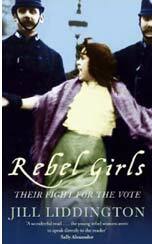 Rebel Girls: their fight for the vote (Virago Press, 2006) tells the story of the suffragettes who demanded new freedoms and new rights - and were prepared to go to prison for their beliefs. It tracks the suffragists and their caravans, as they took their Votes for |Women campaign out to the remotest Yorkshire dales and fishing harbours. Rebel Girls was shortlisted for the 2008 Portico Book Prize. In spring 1911 suffragettes invited women to boycott the census. 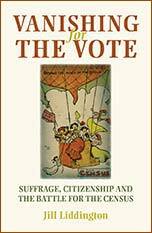 Vanishing for the Vote: suffrage, citizenship and the battle for the census tells the story of what happened on census night, Sunday 2 April 1911. The Liberal government demanded everyone comply with its census requirements. Suffragette organizations urged women, all still voteless, to boycott this census. Many did. Some wrote ‘No Vote, No Census’ boldly across their schedules. Others spent the night in darkened houses. Emily Wilding Davison, hidden in a cupboard within the Houses of Parliament, remains the most celebrated of these census evaders. Vanishing for the Vote explores the ‘battle for the census’ arguments that raged across Edwardian England in spring 1911, and is based upon a wealth of brand-new documentary evidence.